Of all the injustices at this years Academy Awards, the biggest was Wild Tales losing out on Best Foreign Language Film to Ida, which admittedly I have not seen so it’s unfair to make such a bold statement, but I doubt it was better than Wild Tales. 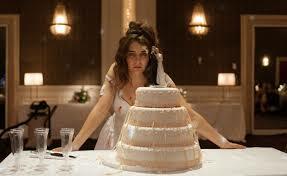 I don’t think anything will better than Wild Tales this year though, as it’s firmly placed itself in the elite echelons of dark comedy classics alongside the likes of Happiness (1998), Killer Joe (2011) and – my personal favourite – In Bruges (2008). 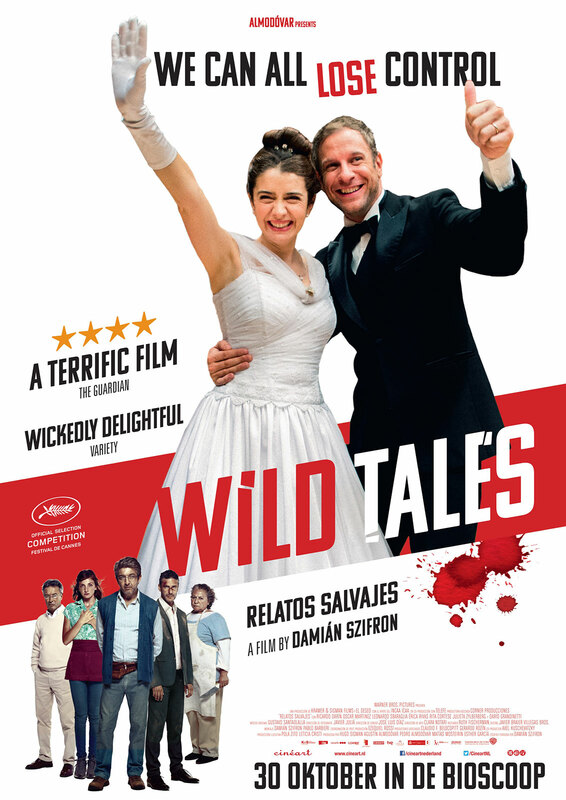 Damian Szifron’s Wild Tales is a portmanteau feature from Argentina which consists of 6 different tales of the wildest kind; making it a film which lives up to its title and then some. Here, Szifron satirises his countries frustrations through stories which will leave audiences shocked, appalled and bursting at the seams with uproarious laughter. Each segment is completely unrelated to the others, but they all share a theme of characters who have reached breaking point; and imploded with violent results. The first tale sets the tone of the film in hilarious, over-the-top and ludicrous fashion: A catwalk model boards a plane and starts a conversation with a classical music critic. They soon discover that they have something in common – along with everyone else on the flight – and it’s soon apparent that none of the passengers are there by coincidence. This segment is my favourite due to its hilarious execution of a frightening situation: Plane violence is still a touchy subject with 9/11 and Lockerbie forever fresh in our minds. But it’s impossible not to laugh at a psychotic pilot who’s went through all the effort of tricking his enemies onto a doomed flight with the intention of causing a calamity. The segment ends with the plane about to crash down on an elderly couple (obviously the pilots parents) as they enjoy a quiet day in their garden. Then we have the opening credits. I guess you could say it starts off with a bang. The second segment is the weakest of the anthology, but it’s still an entertaining romp nonetheless: A waitress working in a diner is angered when the gangster responsible for the collapse of her family shows up for supper. After telling the old cook how this man ruined her life, they devise a plot to poison him. However, after an unexpected arrival of the gangsters son, things start to spiral out of control until events reach a bloody climax. This segment was short and sweet. Although not quite as good as the others, it makes the most of its short running time by delivering an unbridled, violent romp that’s reminiscent of Tarantino and the Coen’s most menacing moments. It’s a nice little warm-up; a light brunch after a delicious breakfast to hold you over until lunch. The third segment steers us into Duel (1971) territory when a Yuppie with road rage flips off a redneck, only to have his tire burst some miles down the highway, leaving him a sitting duck for hillbilly revenge. However, this hillbilly soon learns that you should never piss off a Yuppie who’s teetering on the verge; but then again, the redneck isn’t one to stand down from a fight. This ensues with both men engaging in a hilarious struggle to the death which culminates in a loving embrace… of sorts. This story was a blow for blow juggernaut that had the audience of the theatre rolling in their seats: myself included. Both of the characters are horrible people, but you can’t help but sympathize with each of them from time to time as you laugh at their dismay. Plus I’m sure anybody who’s had car troubles or encountered bad drivers will enjoy watching their murderous fantasies unfold on screen on behalf of the darkest, secret corners of their imagination. The fourth segment is where Wild Tales’ social commentary is at it’s most prevalent: It focuses on an engineer who specialises in explosives: He’s tired of being ripped off, especially by the city towing company who keep taking his car to the impound, despite not being parked illegally. After his marriage falls apart, the engineer exacts revenge on the people he’s mad at, and blows up the impound. He becomes a hero to the city afterwards, and citizens demand his release from prison. This was such a fantastic segment, and universally applicable. Out of all of the characters in the movie, this is the one we root for the most, because in a way he’s completely justified in his actions. Naturally, it’s still hilarious, but there’s much more darkness and melodrama in this tale, as it focuses on a character with a fractured mental mind state that isn’t exaggerated like the people in the previous stories. This is the most down-to-earth short there is, written through frustration at corporate greed. It’s funny stuff, but it’s poignant. The fifth chapter continues to push social commentary to the forefront, this time in regards to the power and influence of wealth in society. This starts off dark as we find out the son of a rich businessman has taken the life of a pregnant woman after a drunken hit and run. Before the police discover who the car belongs to, his family and their lawyer start plotting his cover up, which involves bribing the gardener to take the fall for $500000. However, soon the father has second thoughts once he realizes how much it costs to cover up a murder. This was another great segment. Lawyers and rich people being portrayed as acquisitive isn’t anything new in cinema, but very rarely has a story involving them taken such a drastic U-Turn as it does here. In this scenario, a man’s stinginess comes at the expense of his sons freedom as he refuses to give in to the demands of the covetous sharks that surround him, even when their desperation forces them to drop their high demands. 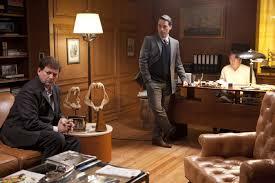 ”Hell Hath No Fury Like a Woman Scorned” comes to mind when watching the final, and most demented tale of them all. Here, a bride, on the day of her wedding, discovers that here husband has been cheating on her and all hell breaks loose. After discovering the revelation, she storms out to throw herself off the roof, but a kitchen attendant with some sound advice talks her out of it and they have relations on the roof. Once the husband catches them, the wife informs him how she’ll bleed him for all he’s worth and sleep with every man she comes into contact with, which fills him with fear and causes physical sickness. The bride then returns to the reception where enough marital turmoil to last a lifetime happens in the course of an evening. This is tied as my favourite segment now as I reflect upon it. It’s the most gloriously unhinged work of art I’ve seen since watching Re-Animator for the first time. Furthermore, it ends on a positive note of forgiveness and love, which is a contrast from the other shorts, which all ended on somewhat of a negative note. I guess it goes to show that no matter how corrupt the world we live in can be, love and forgiveness can conquer all.